THIS BOOK HAS NOW BEEN REPLACED BY A SECOND EDITION CALLED ‘MIND DETOX’. PLEASE CLICK HERE FOR INFO AND ORDERING. Are you tired of treating symptoms of your problems and want to heal the hidden cause? 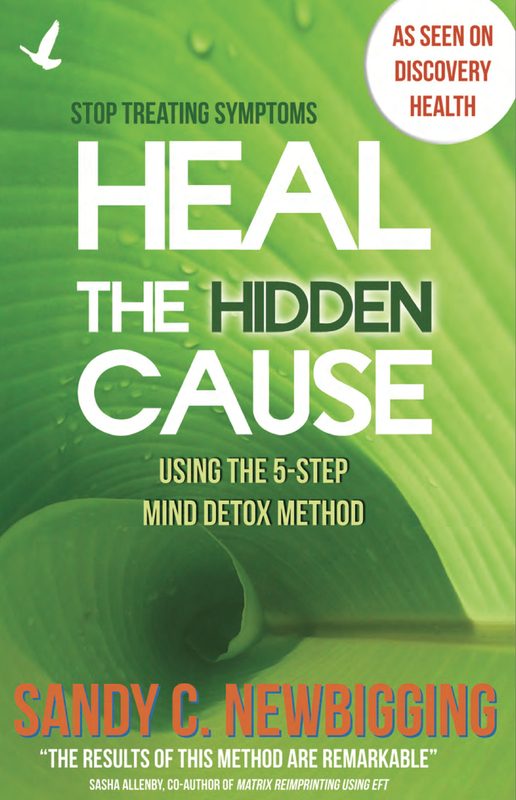 HEAL THE HIDDEN CAUSE gives you the step-by-step instructions for the technique that Sandy has used with thousands of clients worldwide and on 3 hit television series shown on Discovery Health. The Mind Detox Method is a remarkable way to discover and heal the hidden mind-based causes of physical, emotional and life problems. Quite simply, if something negative is happening in your body or life and you don't know why, then this method can help. In this ground-breaking book, Sandy shows how by making peace with the past, chronic stress is reduced and your body allowed to heal. In addition, clearing your self-limiting beliefs helps you to use your mind to achieve brilliant success in business and life. People from around the world have seen skin conditions clear up, chronic pain vanish and digestive disorders disappear, to name a few self-healing success stories. along with improved levels of wealth and well-being.